The workstation is a sacred place where many of us spend most of their day. For this ultimate dream desk setup we focus on gear to make your office space functional, clutter-free, and showcase products to help you work in a more ergonomic environment, and of course, put them all together in a nice clean, minimalist and sophisticated design. We hope this right mix will allow you to become your most productive, efficient and creative self. Awair measures data such as temperature, humidity, CO2, toxic chemicals and dust. These items and their values are then integrated within the app that comes with it providing you tips to improve your air quality, or manage your surroundings. BookArc is an elegant all-aluminum stand designed exclusively for MacBooks. BookArc holds MacBook vertically, freeing up extra desk space and creating a clean MacBook office setup. Use the arc shaped stand to dock your MacBook and connect to an external monitor, keyboard, and mouse, creating a desktop-style workstation. 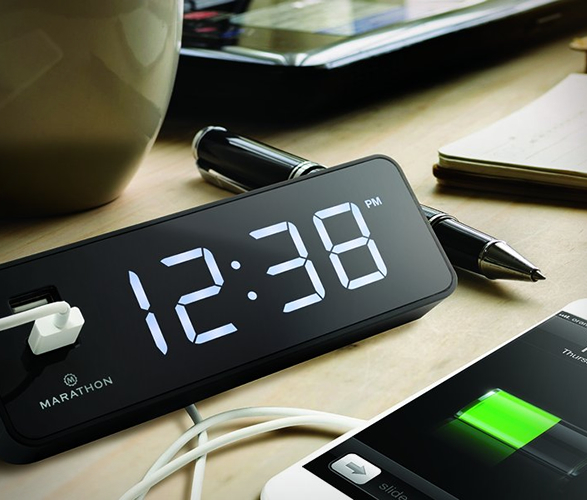 This is the perfect clock for anyone who works in or with electronics. With 2 fast-charging USB ports placed strategically at the front of the clock for easy access and limited risk of wire tangling, you can easily charge 2 devices simultaneously. 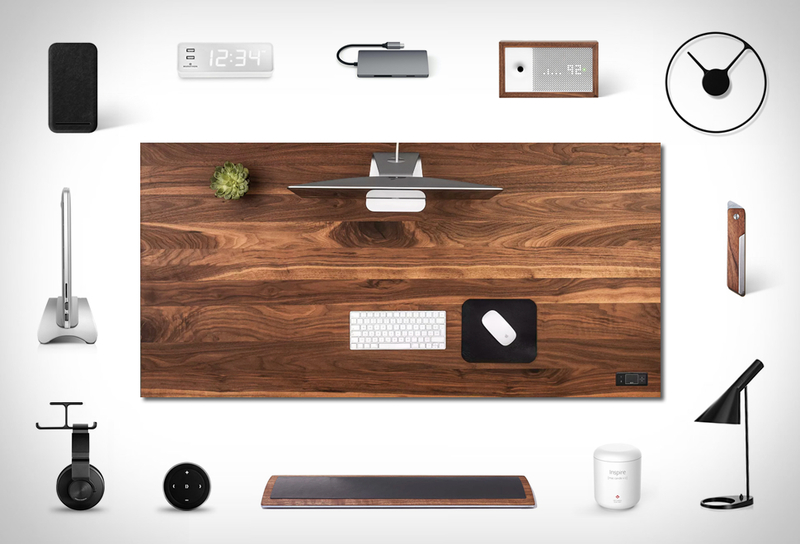 Meet the desk that is reinventing the desk. 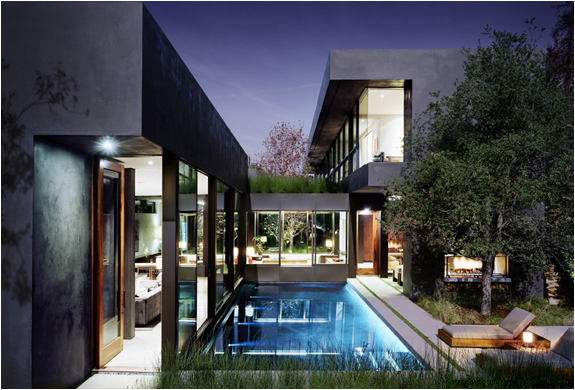 Inspired by minimalism and Scandinavian design, nothing was spared to build Sway. Using the best inline motors on the market and the highest quality of local wood species, sourced in Canada, the Sway desk truly sets a new standard for sit-stand adjustable desks. Presented in a custom Apple themed vessel, this candle features strong notes of armoise and bergamot, with hints of lemon, tarragon, amber and musk to help clear the mind of cutter and stimulate creativity. This elegant wrist pad features a panel of supple vegetable-tanned leather seated on a bed of hand sanded walnut. Natural rubber provides extra cushion and support, elevating your wrists as you type. With use, the leather will soften and develop a rich patina. The unique Stelton wall clock is designed by the German design duo, Jehs+Laub. The clock’s minute arm is linked with and forms the clock’s face, casting a shadow on the wall. The absence of a traditional clock casing creates an illusion of it floating on the wall. The wireless stand offers a stylish and functional desk or bedside home for your iPhone X/8. It is wrapped with premium leather for a rugged but refined look, and the rubber base makes it extra stable so your charger will stay put. 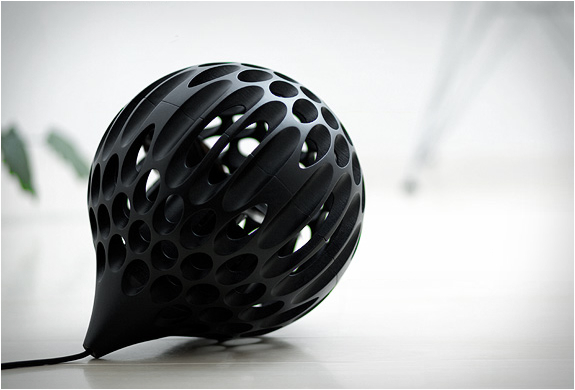 Made with solid aluminum, install under any desk or surface. It helps you to place your lovely earphones conveniently and allow you to access them easily. You can also use it to hang some other small items. This pocket knife was refined down to its simplest form, built around a single-piece core of machined stainless steel wrapped with domestic walnut. Inspired by the classic Japanese Higonokami design, the Grovemade Pocket Knife is held closed by friction, and held open by placing one’s thumb on the end of the tang. Satechi have taken their top-selling customer favorite Type-C adapter and made it even better! It features all the same peripherals that you loved on the previous model but with several changes to ensure a consistent connection and stable data transfer. This timeless lamp has a sculptural design that consists of basic, geometric forms: a cone-shaped shade with a simple cylinder socket. The shade, painted matt white inside, is easy to adjust and it offers a pleasant, glare-free light. Attach this button to your desk to safely and conveniently to control multi-media functions even when your smartphone is out of reach. Play/pause, forward/backtrack, and adjust volume even while your phone is in your pocket, purse, plugged into the wall, or elsewhere up to 40 feet away.